Hi, my name is Jarrad. 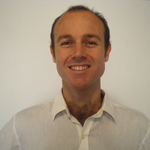 I am a TEFL qualified English teacher from Australia. I've been giving 5 star lessons on Verbling for over a year, and have also taught English in Cambodia, Nepal and Nicaragua. I love music, literature, film, languages, travelling, cooking and surfing. My students and I discuss these and many other topics while learning the interesting details of the English language. I look forward to meeting you and making lessons that improve your English quickly and easily.